LONDON — England coach Gareth Southgate and his captain Harry Kane have been rewarded in Queen Elizabeth II's New Year honors list on the back of the team's surprise run to the World Cup semifinals. After decades of disappointment at major tournaments, England's soccer team matched its best overseas World Cup performance earlier this year. The 48-year-old Southgate was key to the surprise display in Russia, changing the culture of the team, with their run followed by progress to the inaugural UEFA Nations League finals. He received an OBE — Officer of the Order of the British Empire. "I hope everybody that has supported me throughout my career feels pride in the fact I've received this honor because I wouldn't be in this position without that help and guidance," former England defender Southgate said. Kane, honored with an MBE — Member of the Order of the British Empire, won the Golden Boot after finishing top scorer at the World Cup. 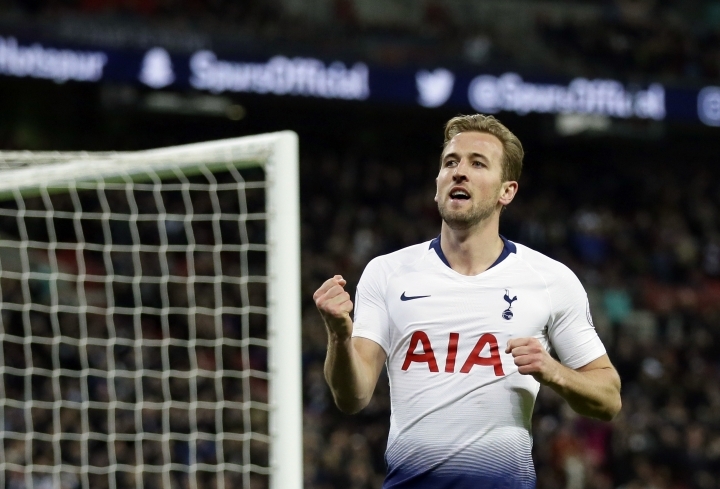 The 25-year-old striker netted six goals as Southgate's side reached the final four and he has also shone throughout the year for high-flying Tottenham. "It's quite surreal," Kane said. "It's been a great year for club and country. It's hard to put into words. I'm very passionate about our country, very patriotic." England, which hosted and won the World Cup in 1966, previously reached the semifinals in Italy in 1990. Outgoing Premier League executive chairman Richard Scudamore becomes a CBE — Commander of the Order of the British Empire — for services to football, and former Manchester United and Northern Ireland goalkeeper Harry Gregg gets an OBE. The 86-year-old Gregg survived the Munich air disaster in 1958. Four-time Ashes winner Cook, 34, becomes the first England cricketer to be given a 'Sir' prefix since Ian Botham in 2007. He retired from internationals this year, scoring a 33rd test century on his final appearance against India at The Oval. Cook has compiled more test centuries and runs — 12,472 — than any other England player during a record 161 tests. The 66-year-old Beaumont is recognized for services to rugby. He led England to a Five Nations Grand Slam in 1980 and also captained the British and Irish Lions. He is a former Rugby Football Union chairman and was elected chairman of World Rugby in 2016. Irish rugby great Willie John McBride — the most decorated player in British and Irish Lions history — was "absolutely thrilled" to receive a CBE. There is also an OBE for ex-Scotland rugby international Doddie Weir, who is fighting motor neurone disease, for services to rugby, motor neurone disease research and to the Scottish Borders community. World Curling Federation president Kate Caithness gets a CBE for services to sport, and fellow Scot — Commonwealth Games Federation president Louise Martin — is made a Dame. British honors are awarded twice each year, at New Year and on the Queen's official birthday in June. The winners are chosen by committees based on nominations from the government and the public.